penguin begets penguins: Ding, ding, ding!! Oh my word, people - I'm officially on a winning streak! Remember how I went to that mother seminar thing at the mall near here? Loved it & ended up donating money to enter the raffle. Just got a call this afternoon that I won one of the prizes! 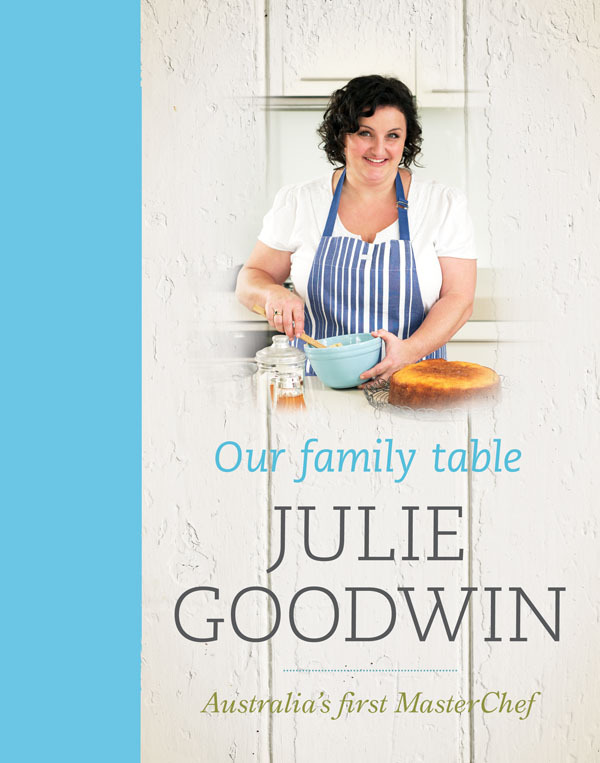 And bonus, bonus, bonus that I just happened to win an autographed copy of Julie Goodwin's cookbook! For some odd reason, I've put off buying this book even though I am obsessed with MasterChef & adore her. Remember she was the special guest at my citizenship swearing-in ceremony? At the time I thought it would have been nice to have brought a copy of her book to get it signed. Looking back, that would have been weird. Anyway, it's moot because I didn't have the cookbook & now I've won a signed copy so all's well that ends well. And I'M A WINNER - woo hoo! Does anyone else think of Joey Tribiani when you hear the word "moot," by the way? Do you remember that episode where he says something was a "moo point" & when they ask him what he means he says it's like a cow's opinion so it doesn't matter. And oddly it made perfect sense. Ears looking at you, kid. Movies, Seminars & freebies oh my! Who are you calling sweet potato? ?